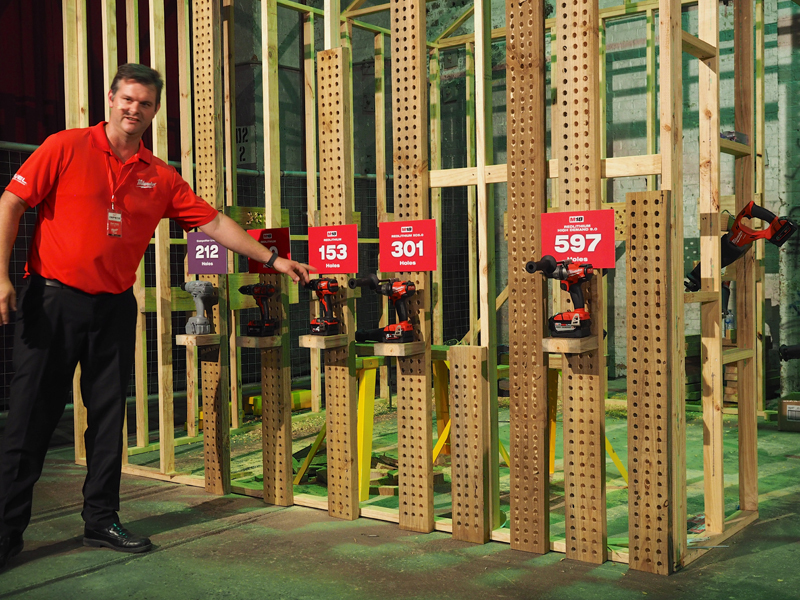 Milwaukee® Power Tools Australia hosted its inaugural and exclusive New Product Symposium (#NPS15) mid-October, exclusively designed for key Milwaukee dealers, end-users, and leading members of the editorial community throughout Australia. Tool Cobber were honoured to be invited along for the ride – and what a ride it was! The event was held at Carriageworks in Sydney, one of Australia’s most acclaimed contemporary multi-arts centres. Housed in heritage listed blacksmith workshops within the old Eveleigh Rail Yards, the industrial atmosphere perfectly captured the spirit of the brand. The day commenced with a short presentation from senior members of the Milwaukee team who highlighted some of the game-changing developments on their way to Australian shores – most notable of all, the exciting One-Key digital platform. To explore the some-200 new products the brand will be launching over the next 6 months, guests were then rotated through 6 interactive stations over the course the day. #NPS15 proved to be yet another example of Milwaukee’s dedication to deliver a steady stream of game changing solutions for real jobsite challenges faced by professional tool users, and was a credit to all involved. 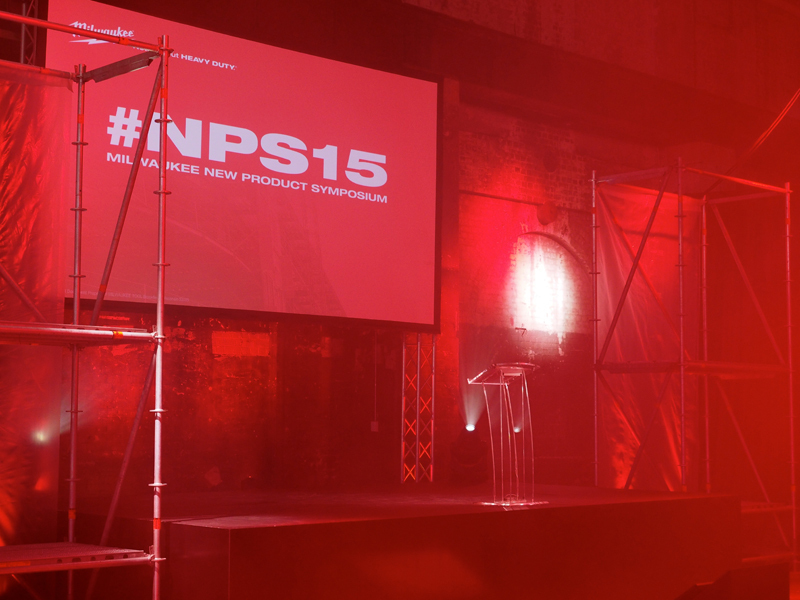 The following is an extensive highlight reel of the day that was #NPS15. More information will follow on each product as they hit a shelf near you. Cordless power tools that talk to your smartphone? It was inevitable. But with Milwaukee’s One-Key platform there’s plenty to get excited about. With One-Key, you will be able to specifically reprogram your One-Key Milwaukee cordless tools to suit the applications you are working on. Particularly for repetitive processes (e.g. driving set-diameter screws in a defined material), or where accuracy is paramount (e.g. fastening to a certain torque), this will lead to a wealth of advantages for the end-user. The One-Key digital platform will allow you to record, track and monitor your power tool inventory for things like locations, serial numbers, tool health, age, and repair history. Start up your One-Key smartphone app and the information from all your One-Key tools nearby will be automatically updated on your account. Older tools and tools from other brands can also be recorded manually in this system so as you can manage your entire inventory from the one system. Following use of a tool, you will be able to automatically generate a written report that has the tool’s performance logged. Geared toward the professional end-user, this will be particularly useful where written compliance is required from a client or authority. An instance of this would be where a Milwaukee Force-Logic copper pipe connection crimper is used. A report could be printed detailing the number of crimp cycles, successful crimp cycles, a graph plotting the pressures for each crimp, and the final percentage of crimps completed at the full pressure rate. One-Key is scheduled for release in Australia early 2016. 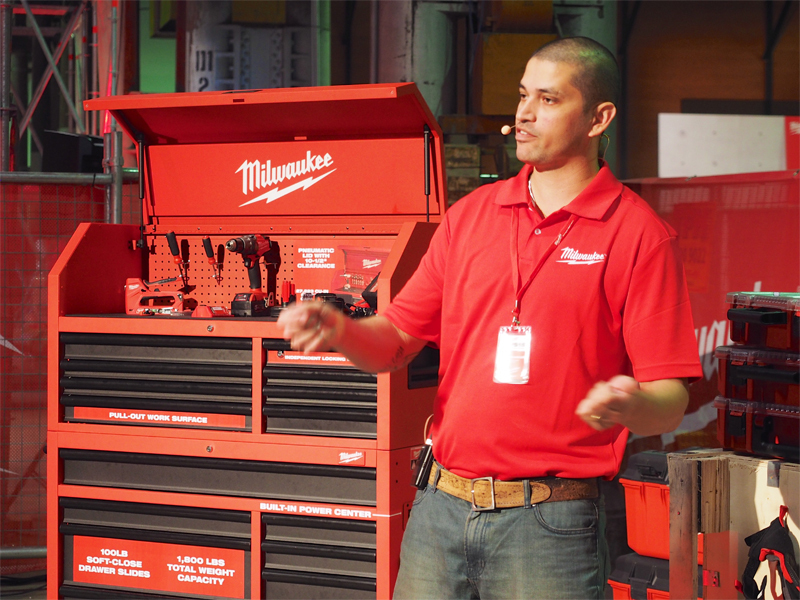 Milwaukee is planning to disrupt the professional hand tool sector in a huge way. Noticeably geared toward the plumbing sector, there were an abundance of new products showcased. 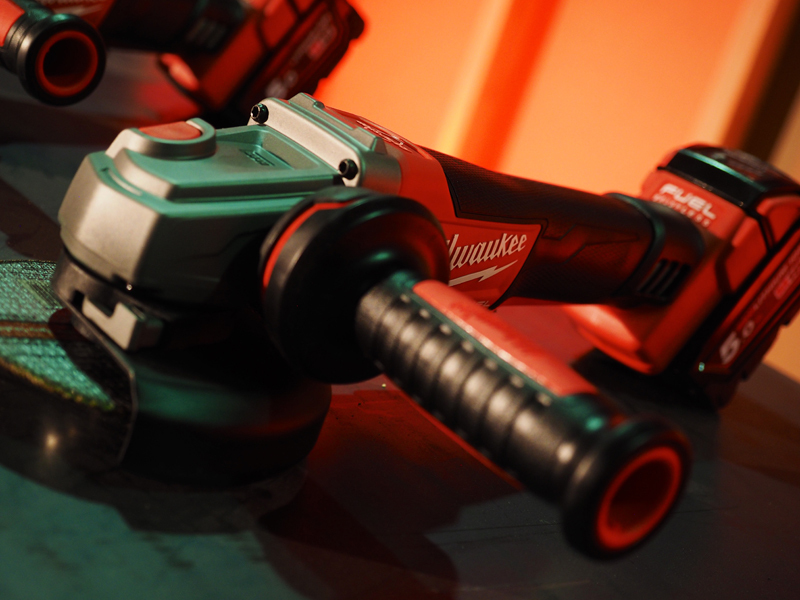 If I could take home any product from the #NPS15, I think it would have to be the powered Milwaukee tool chest. It’s practical in every sense of the word, with a reinforced angle iron base, tall bottom drawers for larger power tools, a built-in fold-out work surface, tall top lid that can close over standing cordless drills, and 240V power centres to the rear, top, and sides. 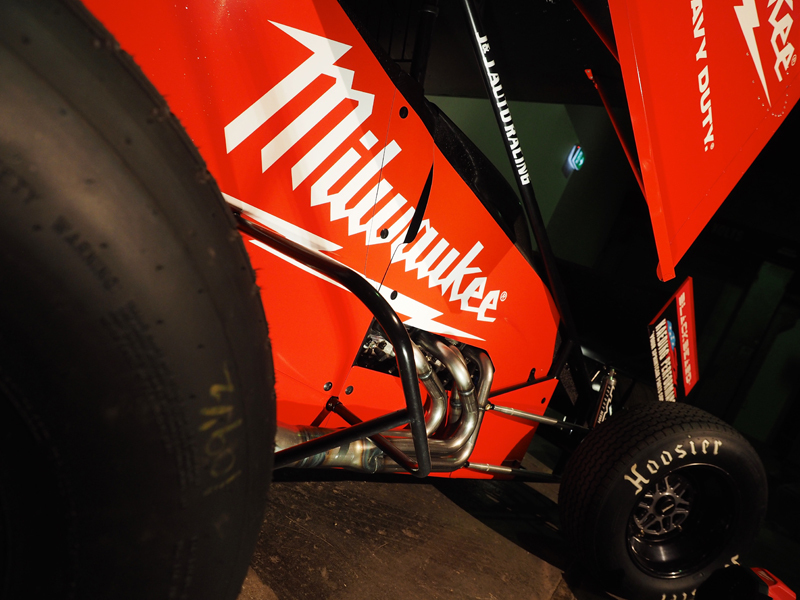 The Milwaukee tool chest will be a limited allocation, and is scheduled to hit shelves early 2016. 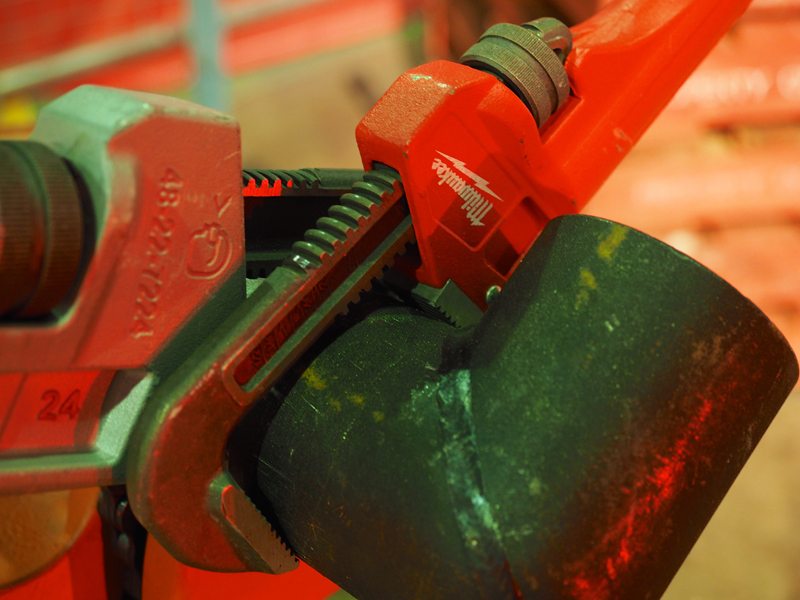 Milwaukee has struck the balance between the two with their new range of pipe wrenches. They are short. With large capacity, overbite jaws. And a heavy duty, screw-in extension where more leverage is required. The latter is specially designed for the pipe wrench to prevent structural failure of the tool, as commonly occurs when a pipe (or sim.) is retrofitted over a pipe wrench with a shorter handle. 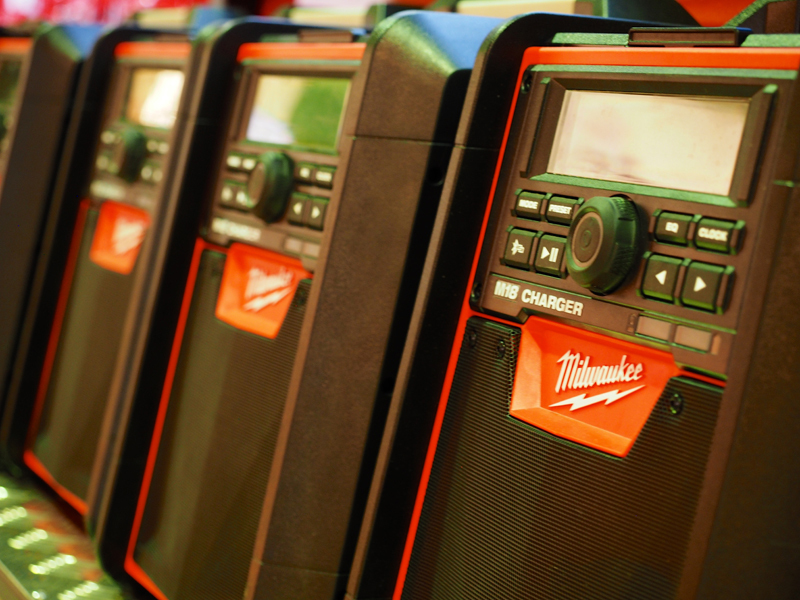 There are many other brands providing new “high-power” batteries up to 36V, but Milwaukee are focusing on their existing 18V range – M18 FUELTM – and what can be achieved by driving smart design development, implementing higher quality components, and staying at the cutting edge of advancements in technology. 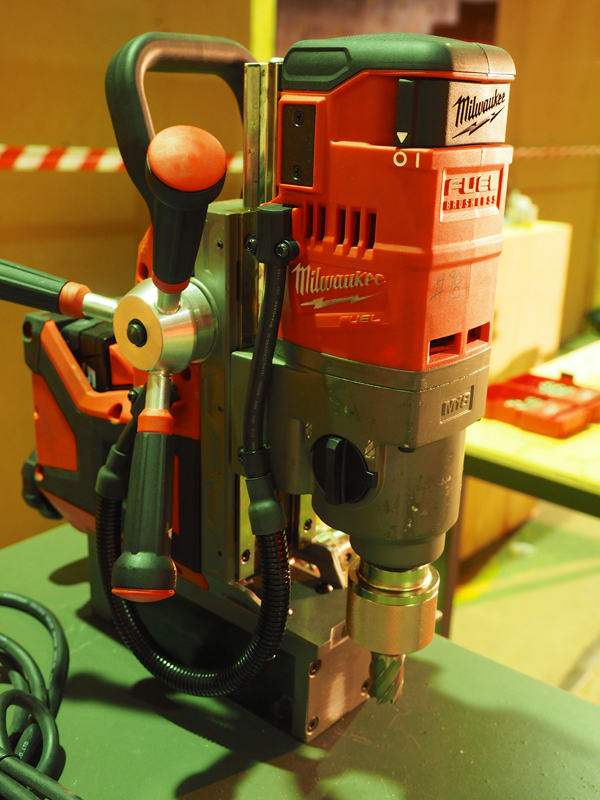 This has resulted in dramatic improvements to their cordless drills and impact drivers, and two very exciting additions to their range – a SDS-Max Rotary Hammer Drill, and a Mag Drill. 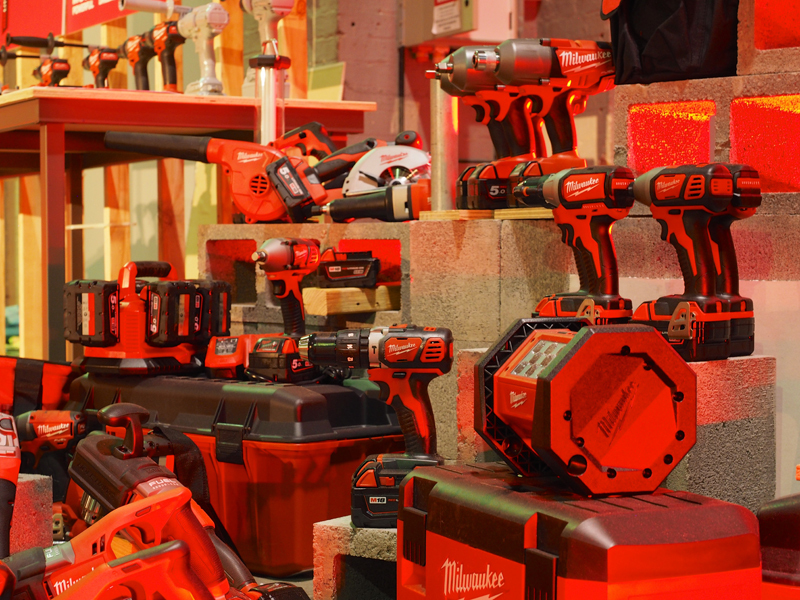 Milwaukee’s cordless brushless drill is now the most compact, high performance drill on the market. Through the use of magnets that generate 20% more power on a smaller motor, and upgraded components throughout, the drill now boasts a max. torque of 135Nm from its previous 80Nm. In addition to the same improvements found in the cordless drill, the cordless impact driver’s impact hammer has been redesigned to bear a greater surface area than previous. 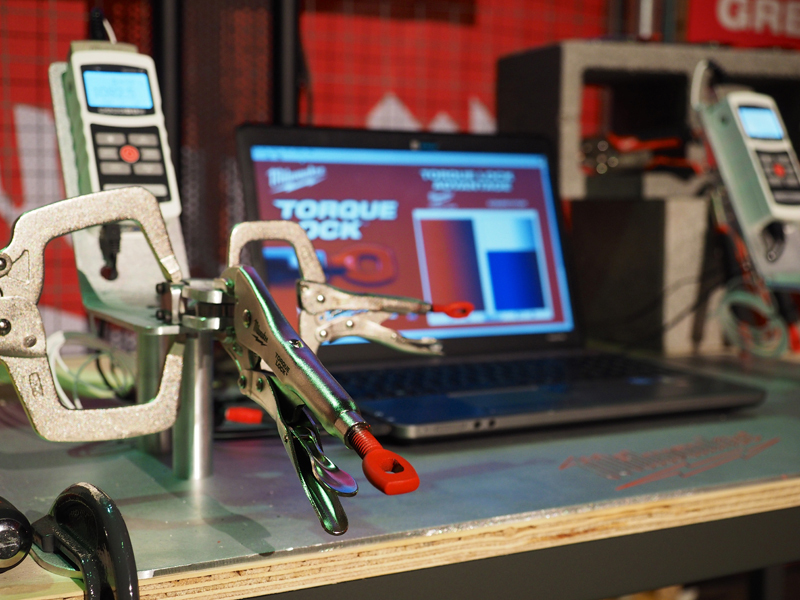 This has seen the torque produced from the tool jump from 180Nm to 230Nm. A fourth mode has also been added to the tool that takes the human error out of screw driving. In this mode, full depression of the trigger starts the tool slowly until the screw bites, and then drives it through the material quickly until it backs off automatically to finish, removing any risk off shearing the screw head or over driving the screw. 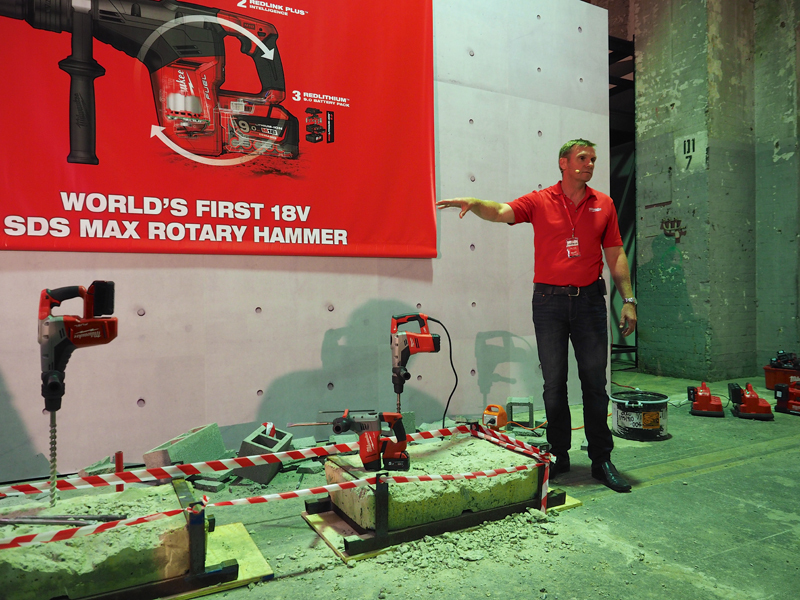 Smaller 18V SDS-Plus rotary hammer drills are present in every power tool manufacturer’s catalogue, but the 18V SDS-Max rotary hammer drill introduced by Milwaukee is the first of its kind on the market. 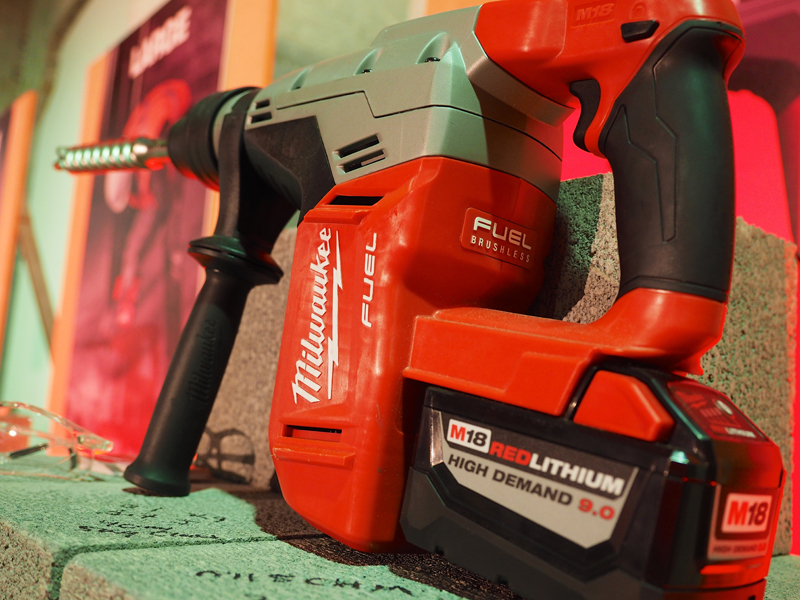 Complemented by increased battery capacities (see bottom), it packs a serious punch for the most demanding of breaking applications, and is yet another step toward Milwaukee’s vision of a cordless jobsite. 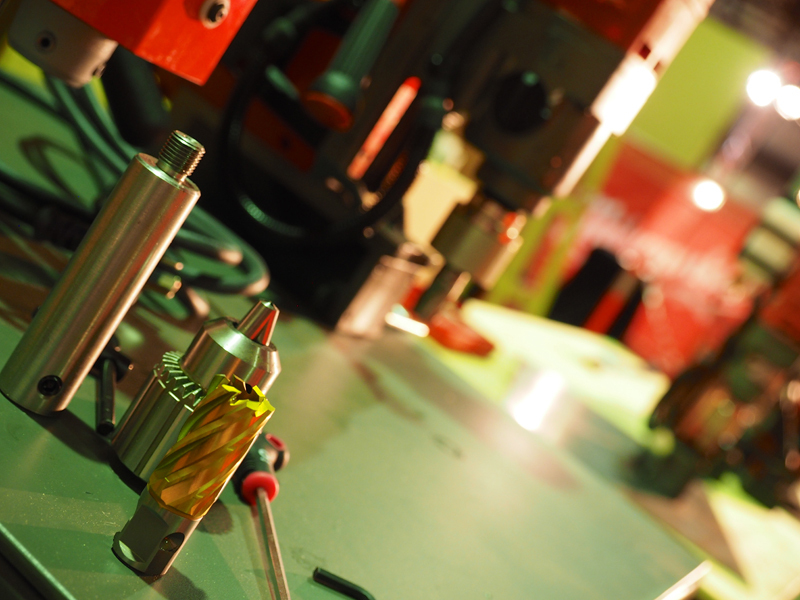 For onsite drilling of heavy gauge steel, end users are rather limited to the use of a mag drill. To date these have been corded, and with this comes a host of issues. 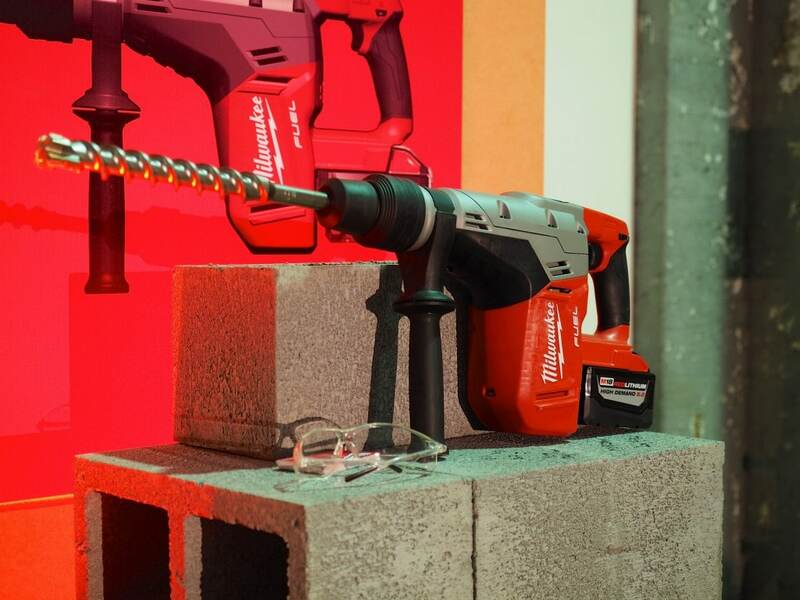 The new cordless mag drill from Milwaukee is packed with innovative features – some as simple and logical as using permanent magnets for the base magnet – that will enable significantly safer and more efficient steel drilling. Complemented with Milwaukee’s new high capacity batteries, the tool archieves a very respectable and practical number of holes per charge. New M18 FUEL cordless tools are scheduled for release in Australia early 2016. 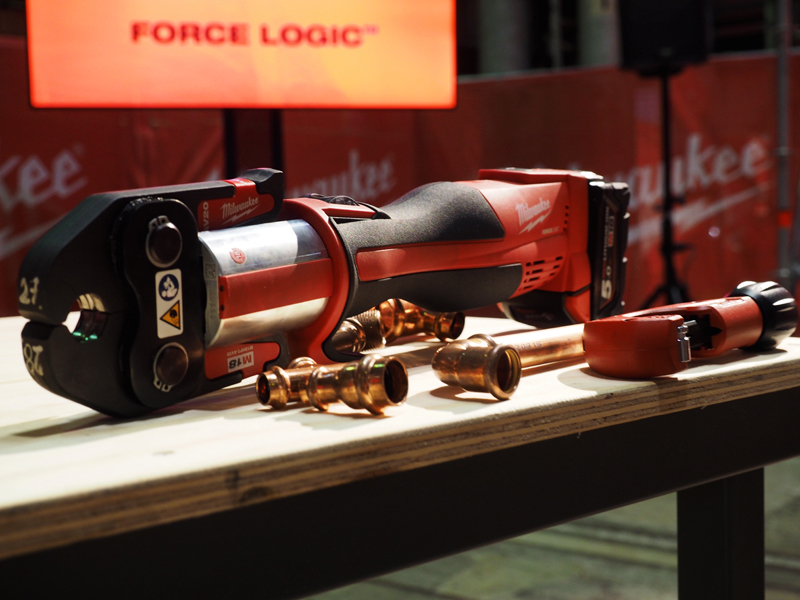 The Force Logic range from Milwaukee – in partnership with Novopress – is a range of hydraulic cordless crimping tools fully compatible with the Conex and Banninger copper crimp fittings available through Reece Plumbing. These cordless tools provide an incredibly efficient, alternative to the traditional soldering connection. With the single-handed operation, an automatic crimping mechanism, and a successful crimp indicator, copper pipe connections of all diameters are now both safer and fail-safe. Both 12V and 18V models are available, with crimping heads sold separately to enable end-users to choose the diameters they need. 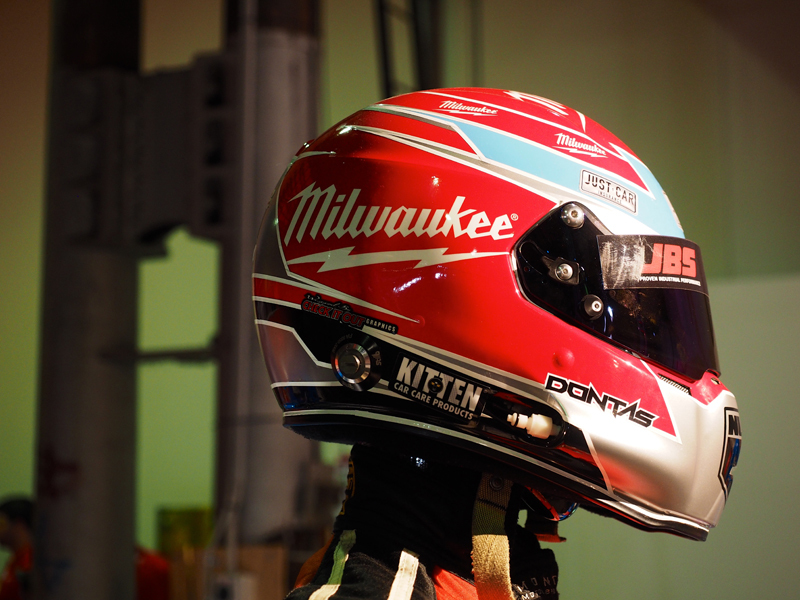 In 2005, Milwaukee brought the first Lithium-ion batteries to the market. 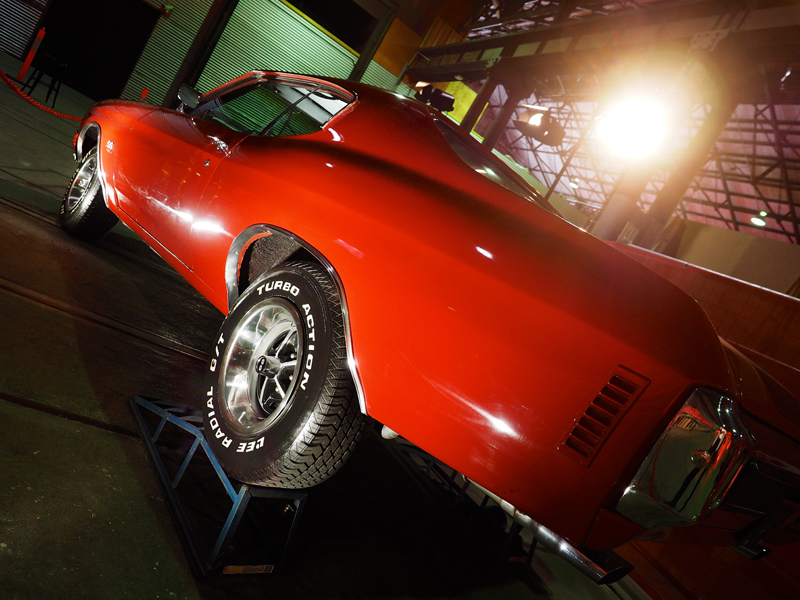 It was made clear at #NPS15 however that it doesn’t matter to the brand to be the first; it matters to be the best. 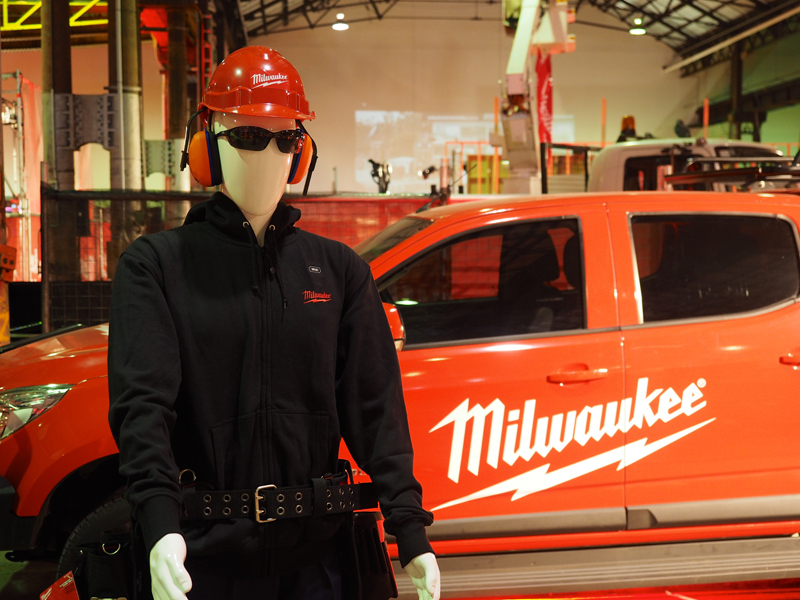 In 2009, Milwaukee launched the M18 platform, and in 2010, updated Red Lithium technology that featured more advanced cell technology, better construction, and greater protection. Following this, the brand’s current 4.0Ah “compact” battery was introduced in 2012. A ground-up redesign of the platform was undertaken in 2014 and from this, the company’s 5.0Ah “extended-capacity” current battery was released. The newest addition to this family of batteries is the enormous 9.0Ah “high-demand” battery for high-drain tools and applications, such as the new SDS-Max rotary hammer drill and mag drill. 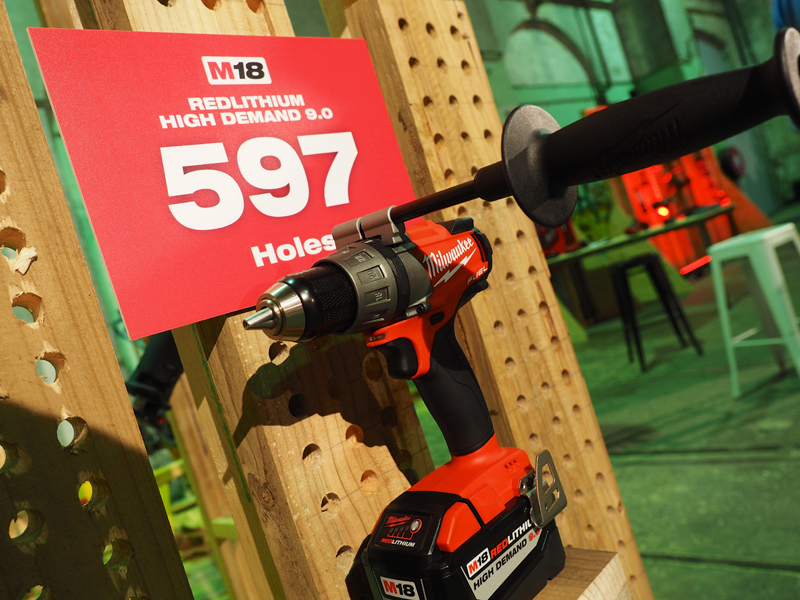 Milwaukee boast that this high-demand battery doubles the holes produced by the cordless mag drill. Be sure to keep an eye out for these products and more as they are released in stores across Australia over the next few months.